WestVETS offers the highest quality in Xray Imaging with Digital Xray available at both WestVETS Anstead and WestVETS Marburg. 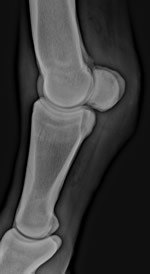 Digital Xray enables us to obtain images of vastly superior quality to film images. Digital Xray has revolutionised diagnostics in that previously difficult sites to view are now more accessible, permitting the detection of early signs of disease and increasing our diagnostic capacity. 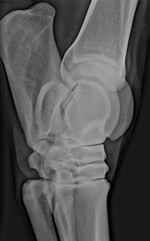 Digital xray is commonly used as part of a detailed lameness evaluation. Our system of direct digital radiography has improved our efficiency in that the time delay of processing images is no longer an issue. 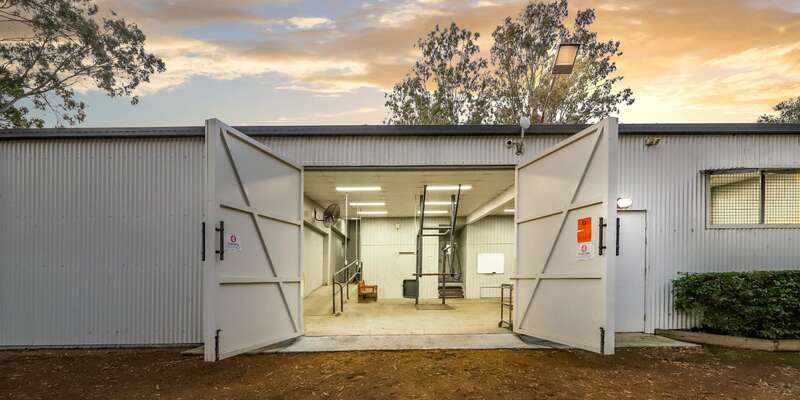 This is a great advantage where large numbers of xray are taken for yearling sales and prepurchase evaluations. Digital images are available for viewing immediately. Consequently, a diagnosis can be made promptly within the initial visit and treatment can be commenced. At WestVETS we are equipped with multiple ultrasound machines. Portable scanners are used for routine monitoring of reproductive cycles, diagnosis of pregnancy and assessment of tendon injury. Our hospital is also equipped with a powerful state of the art digital ultrasound machine which provides superior image quality and enables us to image deep within the horse’s abdomen and thorax. At WestVETS, ultrasound is commonly used when investigating medical conditions such as colics, pneumonia, chronic weight loss and brood mare abortion risk. Ultrasound is frequently used during lameness examinations to evaluate tendon, ligament and joint injuries. At WestVETS we offer portable fibreoptic endoscopy and a clinic-based video endoscope that allows you to see what the veterinarian is seeing. We use endoscopy for the evaluation and occasional treatment of upper respiratory tract problems. We commonly use endoscopy to investigate respiratory noise, nasal discharge, chronic coughing and poor performance. Upper respiratory tract endoscopy may also form part of a prepurchase evaluation. Endoscopy may also be used to investigate disease of the bladder, uterus and oesophagus. 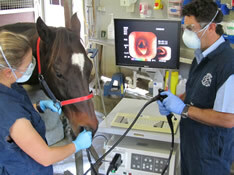 At WestVETS we have a 3 metre video endoscope enabling us to evaluate your horse’s stomach. Gastroscopy is used for the diagnosis of Gastric Ulcer Disease. 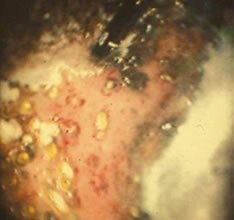 It is estimated that 80% of performance horses are believed to suffer from gastric ulcers. Symptoms of gastric ulcers include inappetance, recurrent colic, poor hair coat, poor body condition and/or poor performance. In foals, symptoms can be more severe and can also include teeth grinding, drooling saliva and diarrhea. 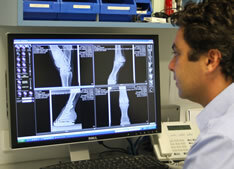 At WestVETS we offer a digital xray service providing pre-sales screening as well as the full sales repository series. Our system of direct digital radiography has improved our efficiency in that the time delay of processing images is no longer an issue and any repeat films can be taken straight away, avoiding the need for revisits. 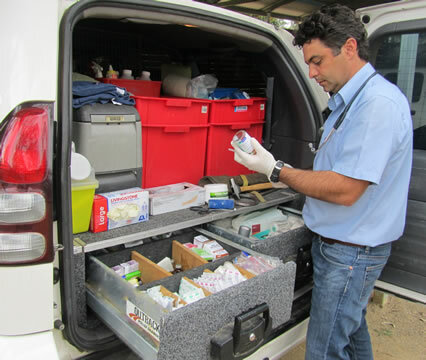 A nurse generally accompanies the veterinarian to perform sales and screening xrays to further improve our efficiency. 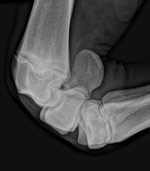 Digital xray provides images that are vastly superior to those obtained with film and is often sought out by purchasers.